The trail at William Wilt Soccer Complex is designed to have children exercise and pick up several vital learning skills with their parents. On Oct. 16 Landon Lerch is hopping along the hopscotch path on the Born Learning Trail (Krystal Nurse/The Sun). A ribbon was cut on Oct. 16 to signify the official opening of the Born Learning Trail at the William Wilt Soccer Complex in Mullica Hill, and Stephanie Lerch, chair of Women United, is excited for the trail to come to her hometown. The Born Learning Trail, according to Lerch, consists of a series of signs and activities targeted toward preschool or early education-aged children to stimulate their brains while doing physical activities with their parents or caretakers. “You typically see signs like this in parks with exercises to do, but that’s exercise of the body and we wanted to exercise the mind and promote that early education learning,” said Lerch. 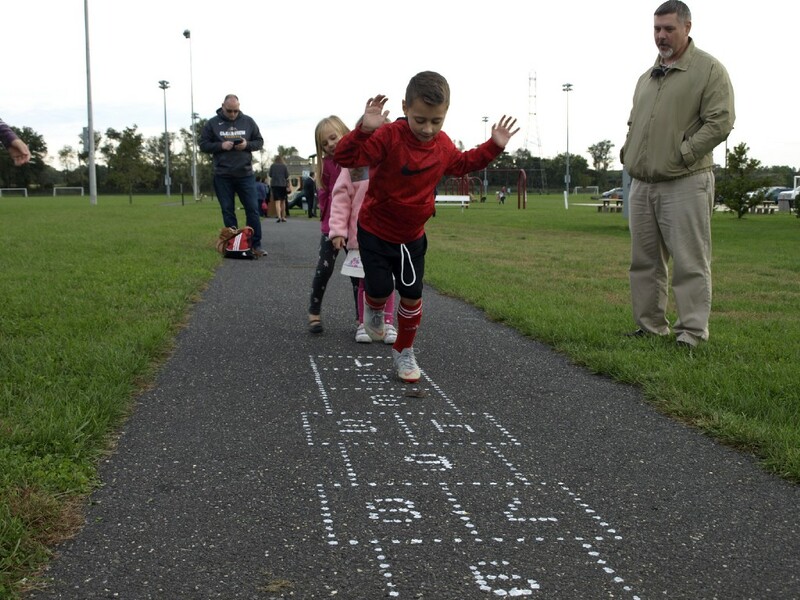 Some of the signs will have the kids look around their immediate surroundings to find objects of a certain shape and say what shape it is to the adult, or to play hopscotch and count out the numbers as they move through the different steps. 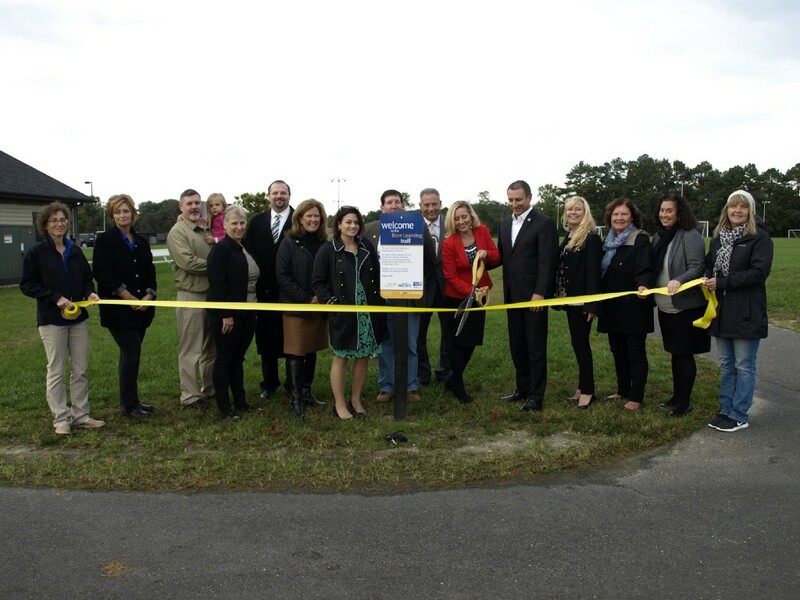 Harrison Township’s recreation commission and committee, United Way of Gloucester County and Women United gathering for the Born Learning Trail ribbon cutting on Oct. 16 (Krystal Nurse/The Sun). This is the organization’s third trail installation in Gloucester County and it’s looking toward placing more in. The second trail exists in Woodbury at Wing-Dickerson Park. During the Clayton ribbon-cutting, Lerch said she saw parents and children in the background interacting with the signs and the actions listed for children to do. Women United, United Way of Gloucester County and Harrison Township committee and recreation members all noted the trail couldn’t have been installed without a collaborative effort. “We couldn’t have done this without Women United, without the local Rotary Club (of Mullica Hill) making these signs happen, the parks and the township making sure the installation happens,” said Mike Gower, executive director of United Way of Gloucester County. Harrison Township Recreation Commission Chairman Rob Johnson added the commission has always been seeking out ways to improve the parks in town, and the trail can help do that. Lerch added the trail was deliberately chosen for the park and not a school to help better promote parent-to-child, or caregiver-to-child, learning in a casual setting. 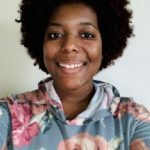 Families can visit the trail while a separate child is at a soccer game and do activities that will help the child learn shapes, colors or numbers better.